Written by renowned Australian author, Christopher Koch, The Year of Living Dangerously powerfully evokes for us Indonesian life in the lead up to the attempted coup of 1965. Loosely based on the experiences of Koch’s journalist brother in Indonesia during that time, The Year of Living Dangerously was adapted for the big screen in 1982 by Koch, Peter Weir and David Williamson. Both the book and its film adaptation were officially banned in Indonesia for their graphic representation of the attempted coup until the year 2000, when the film was first screened in Jakarta. The book’s sensitive nature makes it an important postcolonial text, which can be better understood with at least a basic understanding of the historical and political contexts in which it is set. 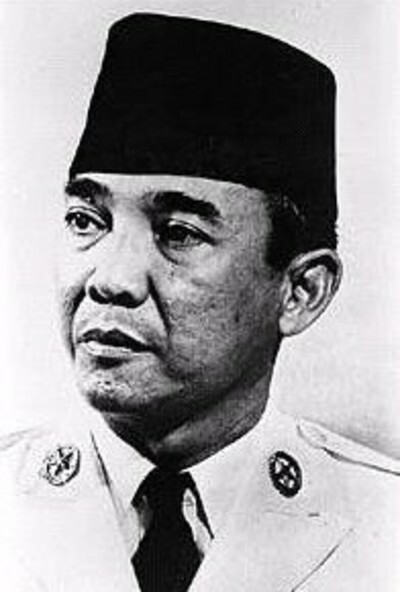 In 1945, Sukarno, Indonesia’s first elected president, declared the nation independent from the Dutch Empire. What ensued was a four year armed conflict and diplomatic struggle to resist Dutch re-colonisation after the Second World War. By the end of 1949, colonial authorities finally recognised Indonesia’s independence and conceded their own demise. Koch’s narrative is set amid the consequent rebuilding efforts of President Sukarno. Influenced by democratic, Marxist and communist philosophies, Sukarno attempts to rebuild Indonesia. His efforts throughout the text emphasise for us what the narrator calls, ‘Indonesia’s double face: it’s enormous hopelessness’ (5: 15). This “hopelessness” stems from Sukarno’s ambition to create ‘a city of light to inspire’ (2: 6) and equally his inability to address the rudimentary struggles of his people. Narrated by an Australian journalist, initially introduced to us as ‘Cookie’, the narrative follows Billy Kwan, a half-Australian and half-Chinese freelance cameraman, and Guy Hamilton, a ‘hybrid’ himself, who denies his dual identity (1: 16). Kwan’s admiration for Hamilton develops as the two become work colleagues and close friends. The friendship between the two men gives us great insight into the capricious character of Kwan. Upon first meeting Kwan, the narrator likens him to ‘a strange child’ (1: 10) and ‘Jakarta’s familiar spirit’ (2: 15). As a result, Kwan quickly becomes an endearing character and a favourite among the journalists at the Wayang Bar at The Hotel Indonesia. However, the narrator soon recognises Kwan’s darker side, a side he has not previously seen. Armed with grandiose arrogance, Kwan takes a turn for the worse. Despite this, Kwan cares deeply for the people of Indonesia. This, together with his personal struggle to discover himself and his place in the world, and his childlike belief in Sukarno’s potential to successfully lead Indonesia into the new world, make Kwan the tragic hero of the piece. Poverty in Lombok, Indonesia. Image by Graham Crumb. Sourced from Wikimedia Commons. 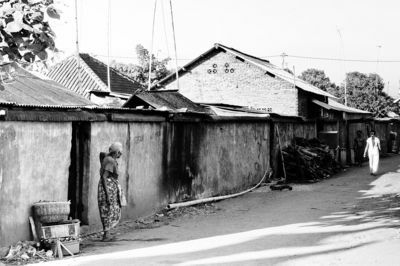 Kwan's ‘obsessive concern for the Jakarta poor’ becomes increasingly apparent as the narrative moves forward with images of decay and corruption (10: 17). The ‘warrens of...crazy shanties…like a bacterial growth along the canals’ and the desperate measures its people, particularly its women, must go to in order to ensure their survival and that of their families, (10: 7) soon cause Kwan to become disillusioned with his great leader. Despite the graphic but unpretentious imagery Koch uses to vividly portray Indonesia’s plight and to personalise the suffering of its citizens, Sukarno cannot be solely blamed. The often-dismissive way in which the characters in the book criticise Sukarno’s leadership points to both his power and his powerlessness. Kwan himself sees Sukarno ‘as a little boy’ as his ability to enchant the masses fades (23: 4). This is reinforced by the motif of the Wayang, the traditional Indonesian shadow puppet theatre, which first likens Sukarno to the shadow master and later demotes him to a mere puppet character. However, the fact of the matter remains: ‘former playgrounds of the colonial masters have now become those of the new nation’s elite…who enjoy the pleasures of colonialism without colonialism’ (14: 3). And, it is this fact, which Koch so effectively communicates that reminds us of the difficulties of creating a new nation out of the ruins of a colonised one, and of the seemingly hopeless plight of its people regardless of who sits behind the proverbial shadow puppet screen. Evidently, Koch’s text cannot be neatly placed into any one genre. 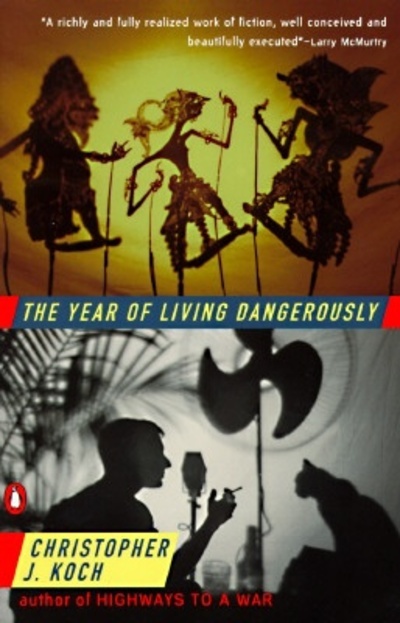 With elements of romance, espionage, friendship, idealism, and betrayal, The Year of Living Dangerously has a broad appeal. At times, it can be a bit slow moving, but its gripping portrayal of the lead up to the fateful events of September 30, 1965, which saw the horrific and unjust slaughter of five hundred thousand people, make it an important contemporary text. And, the fact that it was censored, makes it even more so. Hi Vee.......Christopher Koch's son, Gareth, is a classical Guitarist, whom I've met at performances many times. And the actress who plays 'Hettie' in CSI:LAX, played Kwan in film, & won an Academy Award for her performance. Wow, donjo. There you go.